You are here: Index > General Stuff > Generals > Topic : An Interesting Experience. I had an interesting experience yesterday. I went to a Chinese restaurant in my area last night. It was cool enough for me to wear a jacket so I just happened to take my AVG tribute A2 jacket, the one in the picture below. One of the older waitresses (about 40 or so. It was hard to tell because she was a real knock out) saw the jacket and came over to ask me if the jacket came from China. I told her I did it myself and was paying tribute to the Flying Tigers. She knew exactly who the Tigers were and what they did for China. Her eyes lit up when I mentioned the words Fei Hu. She called over one of the managers who was also about the same age and he remembered who the Flying Tigers were. She even translated the repro blood chit I sewed to the jacket lining. It just goes to show you, the memory of Fei Hu carries on and hasn't been forgotten even through the Cultural Revolution which was responsible for a lot of lost Chinese history. The waitress also remembered the 1937 Nanjing Massacre and how many people were murdered by the Empire of the Sun. The legend lives on. Well, the history wasn't lost. Western sources still has it recorded. Taiwan still has the history too. When the Nationalists lost the mainland, they fled with a bunch of national treasure, although I heard only a fraction were removed to Taiwan and the rest were captured sitting on docks as they awaited to be transferred. Anyways, the Mainlanders now have to redig the artifacts that they destroyed. cousin of Maax C. Hammer, Jr., AVG 22Sep41 RIP "the Mainlanders now have to redig the artifacts that they destroyed." Can you tell us what this means?.....please translate for us. Xie, xie. When I said that certain history was lost, I didn't mean it was lost all together. I meant particularly on the Chinese mainland. Taiwan and western powers never went through the Cultural Revolution so how could all the history go away. As far as the people I was talking to were concerned, they were from the mainland. I am also very aware that there are a lot of mainland Chinese who remember the AVG. I relate this story not with surprise but more of an "ain't this a cool thing?" BTW, if AVG history was lost altogether, this site wouldn't exist. 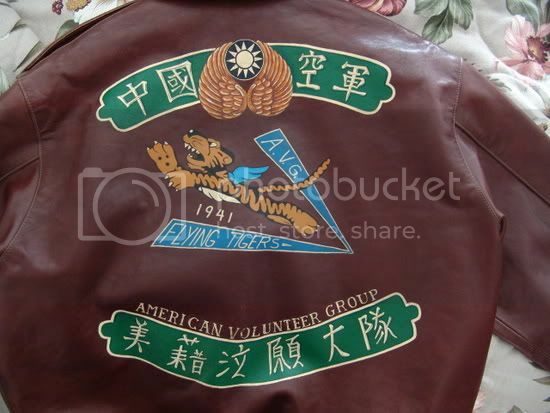 SilverDollar, I understand, it is hard to forget when a group of people, the Flying Tigers, helped to fight against the Japanese. As long as the story is told, nobody will forget!